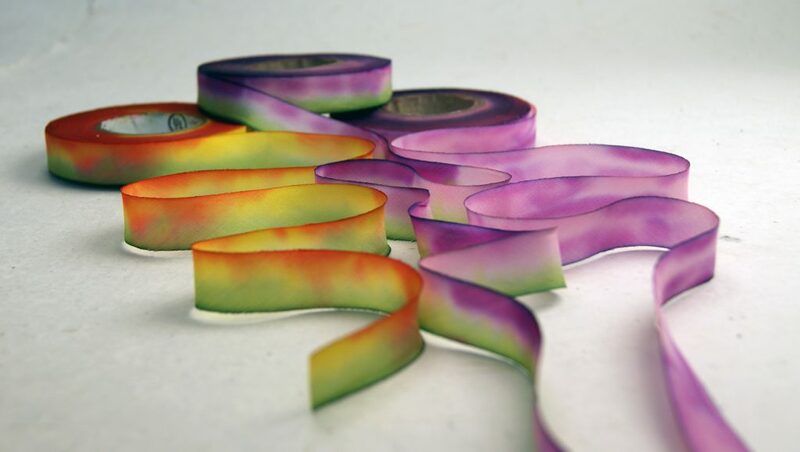 We are happy to display our newest hand dyed silk ribbon colors! Just in time for spring we came up with this set of three colors pulled from our original watercolor art work. The watercolor work was done to showcase the flowers that sprout from our seed paper; look for the art to grace our new product tags. Using the flowers as inspiration our colorist made these three new blends to welcome spring and our new business branding. We have had the pleasure of custom dyeing silk to match corporate colors, bridesmaids dresses, home decor, stationery and new product launches. We would love to work with you on your next project. 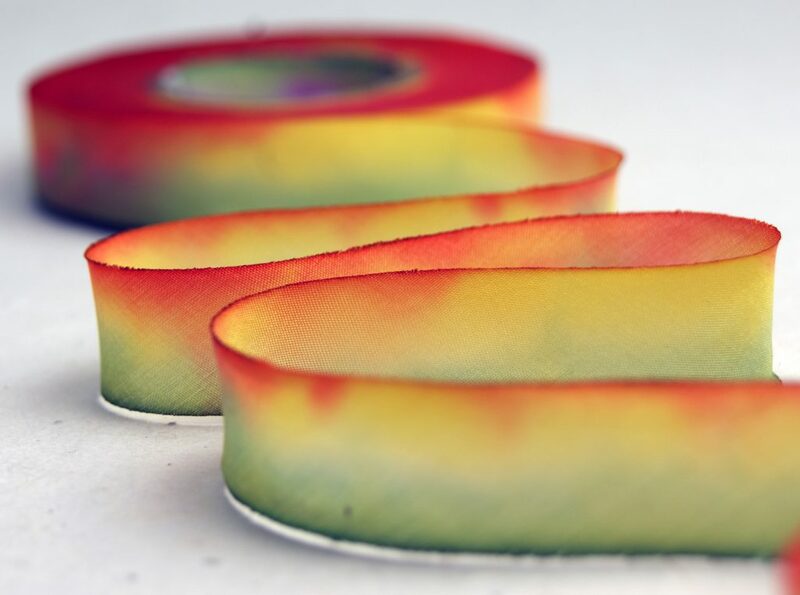 With a low minimum requirement (just three spools) it is easy to have just the right look for your newest designs. 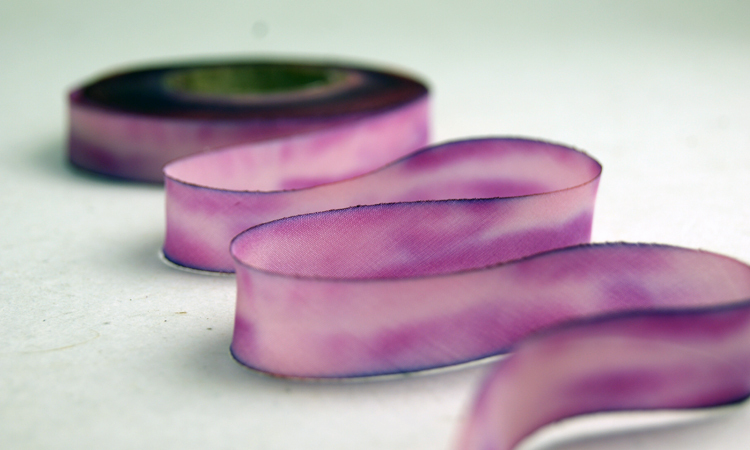 Available in five widths and two finishes our hand dyed silk line is the largest and most flexible in the country. Nowhere else can you find such talented craftsmen and women working to produce hand dyed silk goods in small runs such as ours. We are proud of our efforts to not only produce beautiful works but also to do so in an environmentally focused manner. Let us know how we can help make your design ideas a reality. 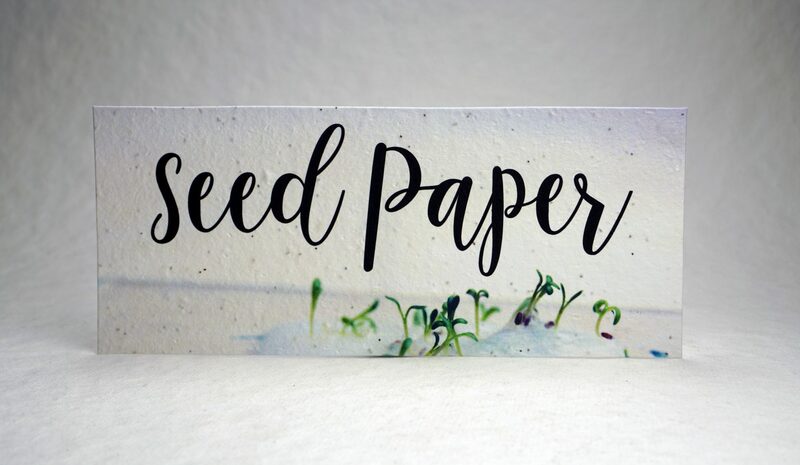 Previous PostPrevious Do it yourself seed paper invitations for just $1.00!